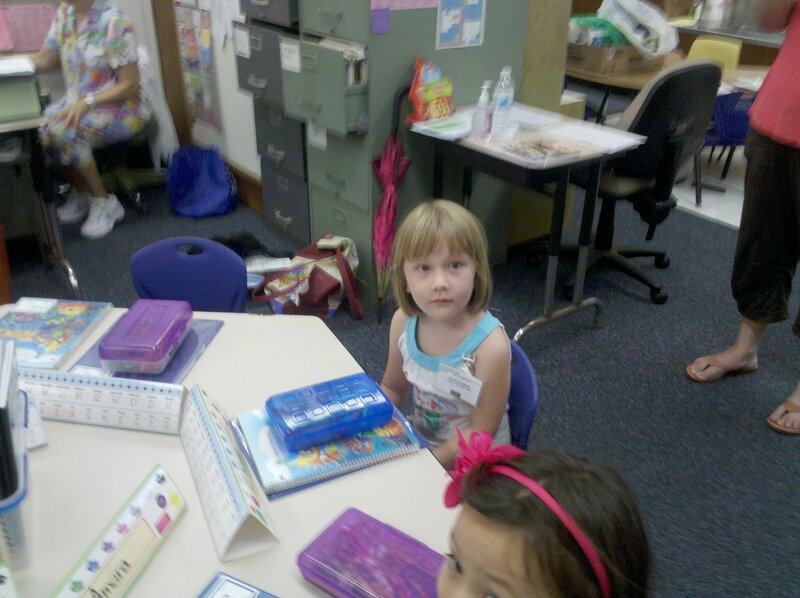 Today is Kaiya’s first day of kindergarten. Almost. Yesterday was a parent-only orientation, which I probably didn’t need to attend as I’m an Old Hand at kindergarten by now. Today is the Group A orientation half-day. Kaiya then gets the whole rest of the week off, has another orientation on Monday, and finally begins in the middle of next week. Whew. It’s a lot to keep straight. Here’s Kaiya looking rather serious. Which means she is having a good time. You should have seen her the last time we went to Disneyland and she met Ariel. She looked like she was a Secretary of State meeting the president of an enemy country. Considering that I’m the type of soft-hearted person who gets weepy at the Beezus & Ramona preview, I did quite well for dropping off my Last Child at school. A quick kiss on the head and I was off. She was fine. I’m sure I’ll find something to do with my time. I still get teary eyed when I watch them walk off to a new classroom. Thanks for the post – i’m preparing myself for this next week.